The term samba dance refers to a group of dances. One can dance the samba solo, with a partner or in a group. These dance styles include the Brazilian samba, the International style samba and American style ballroom samba. However, the Brazilian samba is the origin style of the samba dance. Hence, the International and American styles evolved from this original form of samba dancing. The samba originated in Brazil in the late 19th century with roots from Africa. The various forms include the samba no pe (a solo dance), samba de Gafieira (an urban dance form in Rio de Janeiro), the samba pagode from San Paulo, samba reggae, samba de roda, samba rock and ballroom Samba. Eventually, the samba dance genre evolved into a favorite ballroom dance. Generally, there is an American style and International style of samba dancing. The ballroom forms of the samba dance is very different than the original Brazilian variations of the dance. Ballroom samba uses 2/4 timing with three weighted steps in two beats of music. Syncopated movements use split beats. Also, the samba uses a distinctive downward pulse or dropping action that uses the ankles and knees. This is accomplished by a straightening and bending of the knees a specific hip action sometimes called a samba tic. To achieve the samba tic, the samba uses complex, difficult dance techniques like a pelvic tilt. This is is necessary to achieve the sensual, rhythmic style of the ballroom samba. The samba dance styles have survived the test of time. They are still very popular around the world among ballroom dancers. Social ballroom dance venues and dancesport competitions include samba music and dancing . Additionally, it is often chosen for dance performances due to its high energy, sensual movements and African rhythms. Most American style ballroom dance studios offer some samba dance instruction in their curriculum along with the other American style rhythm dances like cha cha, rumba, mambo and the newer Latin nightclub dances like salsa, merengue and bachata. Carnival celebrations for a hundred years have included a street form of the samba dance in Brazil. Samba is recognized around the globe as a symbol of Brazilian culture. Also, the maxixe, another Brazilian dance, was combined with the early forms of Samba to became one of the earliest versions of samba. Check out samba dancing music here! Watch more samba dance performances here! 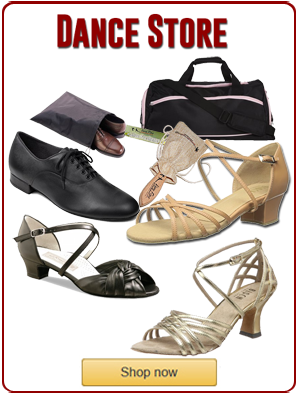 Read about the all the other types of dances here!